Former US ambassador to New Zealand (1999/2001) Carol Moseley-Braun has an interesting background. Like Barack Obama, who inherited her US Senate seat, Moseley-Braun was a veteran of the left side of the Chicago Democratic Party machine. Born in 1947, Carol Moseley was raised by a medical technician mother a "socialist" father who worked as a guard in the Cook County Jail. She was bused across Chicago to a segregated school and graduated from high school with honors. While still in high school Carol Moseley staged a one-person sit-in at a restaurant that refused to serve her, succeeded in integrating an all-white beach and marched with Martin Luther King. In 1978 Mosely-Braun won election to the state legislature. Moseley-Braun became Chicago Mayor Harold Washington's legislative floor leader and sponsored bills to reform education, to ban discrimination in housing and private clubs and to bar the State of Illinois from investing funds in Apartheid South Africa. 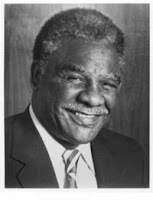 Harold Washington was a lifelong Communist Party front operative and had been elected as Chicago's mayor in 1983, by a communist/socialist led black/white "liberal"/Latino coalition. Moseley-Braun was also affiliated to at least one Communist Party front. In November 1979 she was a co-sponsor of the founding conference of the US Peace Council, a CPUSA front and an affiliate of the Soviet controlled World Peace Council. Moseley-Braun's Peace Council co-sponsors included US Congressmen John Conyers and Ron Dellums, both lifelong CPUSA front operatives. In May 17th 1987 Moseley-Braun allegedly helped sponsor, with CPUSA leaders Angela Davis and Herbert Aptheker, a benefit for elderly Communist Party activists Claude Lightfoot and Jack Kling. Also in 1987 Moseley-Braun joined Harold Washington's multi-ethnic, multi-racial, and gender-balanced "Dream Ticket" to successfully run for the office of recorder of deeds. Washington died in office shortly after the election. While serving as recorder of deeds Moseley-Braun decided to run for US Senate in the 1992 election. Like her mentor, Harold Washington, Moseley-Braun was supported by the Communist Party. Lumpkin also led SOJ into independent political action. They played an important role in the election of Harold Washington as mayor of Chicago, a historic victory over the most entrenched, reactionary political machine in the U.S. Bea (Lumpkin's wife) writes that "At that time, Washington and Lumpkin had a special relationship ... Washington seemed to draw strength from Lumpkin's participation. At meetings rallies, street encounters, whatever, Washington would call Frank over and say, 'When I see you, I know things are in good hands.'" 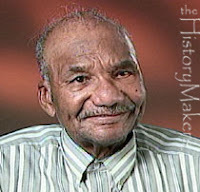 Lumpkin was later appointed by Harold Washington to taskforces on hunger and dislocated workers. SOJ was also an important factor in the election of Charles Hayes, African-American leader of the Meatcutters union, (a covert member of the CPUSA) to take the Congressional seat vacated by Washington, and the election of Carol Moseley Braun, the first Black woman to serve in the U.S. Senate.